Foodies can look forward to a menu of mouth-watering treats over the Bank Holiday weekend’s Ourburystedmunds Food & Drink Festival. Among the attractions are displays by two celebrity chefs, stalls selling all kinds of food and drink and for a real flavour of summer, the ever popular Bury St Edmunds beach returns, this year for a few days longer. The free event, which has become an annual favourite in the town, gets underway on Sunday 30th August when the special guest is Galton Blackiston from North Norfolk’s Michelin-starred Morston Hall. On Monday 31st Ed Baines will be in the Aga Rangemaster Theatre Kitchen outside Moyses Hall on Cornhill. Both chefs are well known for their television appearances as well as running their own highly-regarded restaurants. 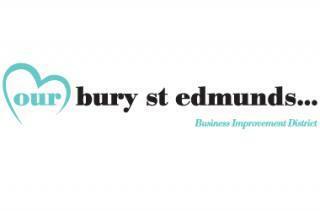 The event is organised by the town centre Business Improvement District (BID) organisation Ourburystedmunds. Its Chief Executive Mark Cordell said: “This weekend celebrates food and drink from the very best of what’s on offer from Bury St Edmunds and the local area to international cuisine. The Food & Drink Festival opens on Sunday with a new event ‘The Great Bury Cake Off’ featuring delicious creations from cafes in the town. Throughout both days there will also be a Farmers’ Market on Angel Hill and numerous other stalls and food offerings throughout the town centre. A number of local businesses are running supporting events over the weekend including a Beer Festival at the Old Cannon Brewery and a Food and Wine Safari on Monday at Thomas Peatling. For younger visitors there will be a range of children’s activities in and around the town centre, including face painting in Cornhill Walk, the mini-farm in Abbeygate Street and the beach complete with deckchairs at Charter Square in the arc along with fairground rides. This year the beach will stay at the arc until the Wednesday after the Bank Holiday.